St. Simeon, St. Bridget, and my sweet flower. Today was the first time that the daphne scent got my attention all on its own, as I came back from errands and was unlocking my front door. Before today, I had to kneel down on the mulch and get my nose right up to it, but now there are more blooms, and they are more fully opened. If the weather warms up a bit that should make them even more noticeable. This highly aromatic plant was introduced to me by a neighbor when I was in labor of childbirth with my daughter Pippin – Gayle brought me a vase of the flowers that were in bloom then, around Valentine’s Day, and the sweetness in the air highlighted the divine atmosphere that I always feel when we are waiting to meet a new baby. I always understood that daphne is hard to grow in our area. I don’t remember why that is, but I never attempted it. Then last summer Landscape Lady suggested it for this spot in my front garden, and I was thrilled at the possibility. Originally we thought to have a whole row of them under the living room window, but her fellow designer cautioned against that much investment in a risky business, so I just have the one. And it is healthy and making lots of flowers so far! It’s one of my favorite feast days. Today is one of the Twelve Great Feasts of the Orthodox calendar; therefore I think it excusable if I postpone the many pressing mundane tasks and meditate a little longer on one of my favorite celebrations. 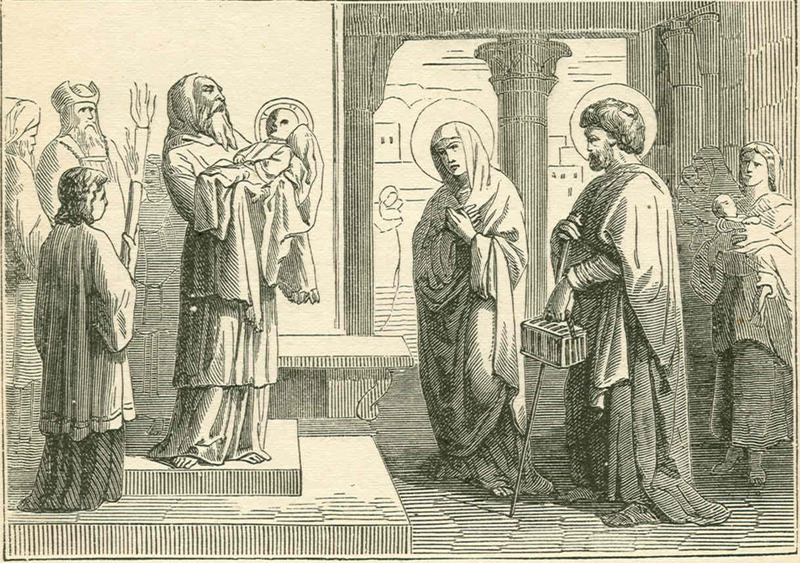 As long as I can remember, the story of Christ being presented in the temple as an infant has brought tears to my eyes, because of the constancy and joy of Simeon, a “just and devout man” who had throughout a long life been waiting and praying for the Messiah. His words express a single-minded heart–his purpose in faithfully waiting had been fulfilled. What a sweet reward, to be the one to receive and hold the Christ! 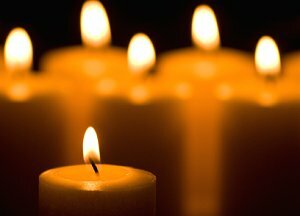 Candlemas is another name for the holy day, and the church East and West has traditionally blessed candles on this day. I love candles as much as anyone. 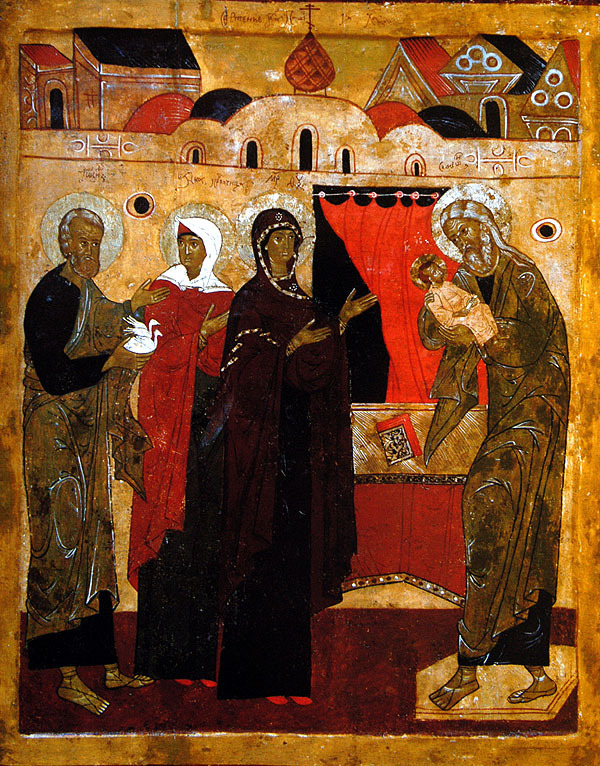 It’s been a happy thing to find that Orthodoxy has a whole day and an important feast that commemorates one of my favorite events in our salvation history. I leave carrying candles to burn at home and stretch out the joy for a good while, brightening and lightening up these winter days.